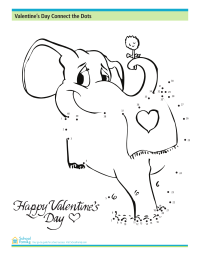 Practice your numbers by completing this St. Patrick's Day-themed dot to dot worksheet. 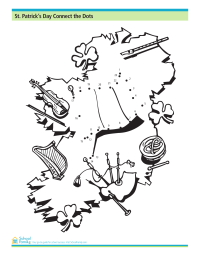 Picture shows a map of Ireland. 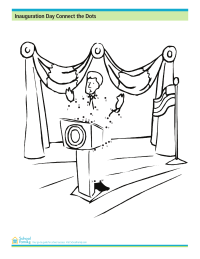 Practice your alphabet with this Inauguration Day-themed connect the dots activity. 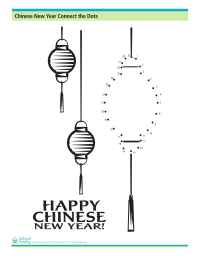 Practice your numbers by completing this Chinese New Year connect the dots, featuring lanterns. 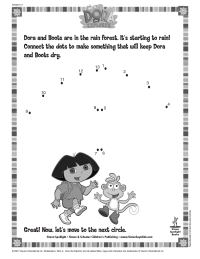 Use this Dora-themed connect the dots to practice your numbers. Created by Simon and Schuster Resources. Find more Dora the Explorer books.